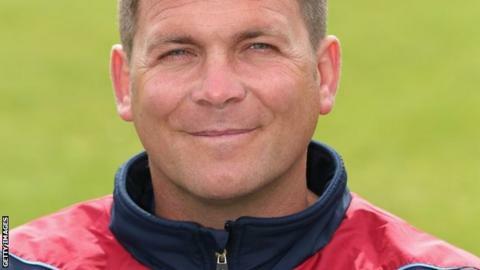 Matt Walker says he is "back home" at Kent after re-joining the club from Essex as assistant head coach. The 40-year-old spent the majority of his 19-year playing career at Canterbury before leaving in 2008. "It was good for me to get a taste of things and a look at things from another county's perspective," he told BBC Radio Kent. "It doesn't get better than walking through the gates at the St Lawrence Ground. This is where I want to be." He added: "I have been away for a little bit with Essex, which I have thoroughly enjoyed. "The life Matt brings to the party is something we sorely missed when he wasn't at Kent," Kent captain Rob Key told BBC Radio Kent. "Already the impact he has had with his energy, his knowledge of the game and county cricket has been important. "Often people like him end up the best coaches because they can understand people's failings. "Walks would have gone through many ups and downs in his career. "If anyone can help these young guys through things it is him as he has been there, done it, had success and had failures as well. "He is a great person to have around." "I had a great time here as a player over 16 or 17 years. It's great to be home." Gravesend-born Walker made his County Championship debut for Kent in 1994 and scored over 15,000 runs in all formats of the game for the club. "I had a great time here and like to think I gave my all as a player," he said. "I will do exactly the same as a coach. "I had a great relationship with the crowd. I like to think they respected what I did on the field and I certainly respect how they treated me here." Walker is excited by the prospect of working with and improving Kent's young players after moving back to Canterbury at the end of January. "I see a talented bunch of players and it is now trying to turn that ability and promise into product," he said. "Young players will have a great opportunity this year and hopefully we can shape them into players of the future for Kent. "You get the most rewards from working with the younger players. It is about working out their personalities and what makes them tick. "I know what they can do and it is now turning them into consistent cricketers. We want to shape them for the next five or six years or longer." Kent finished seventh in Division Two of the County Championship last season but Walker is optimistic of their chances this season, particularly after the capture of Australia bowler Doug Bollinger as their overseas player. "I think we have got a fantastic blend and great strength and depth, especially in our bowling department," Walker said. "We've got a great overseas signing in Bollinger who brings quite a lot of know-how. "Australians bring a cutting edge, a culture of competitiveness and a real winning desire into the dressing room. "If we get a bit of momentum you can become a really confident side who believe they can win. You have got to play good cricket for a long period of time over the summer to get success. "It is important to have a dressing room which is vibrant and energetic with strong characters. To create that team ethos where everyone is aiming for the same goal is crucial. "The best teams I have played in have had that element."